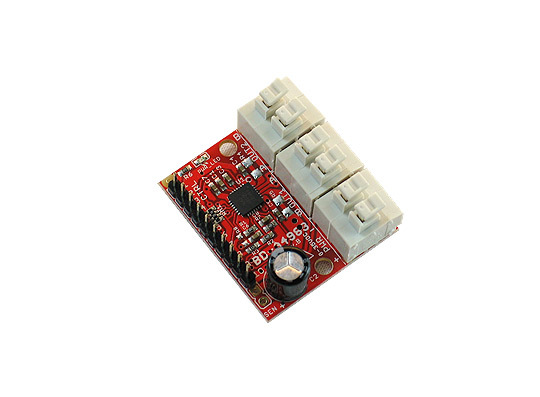 A4983 driver can control stepper motors and have two channels. The board can also power gear motors. 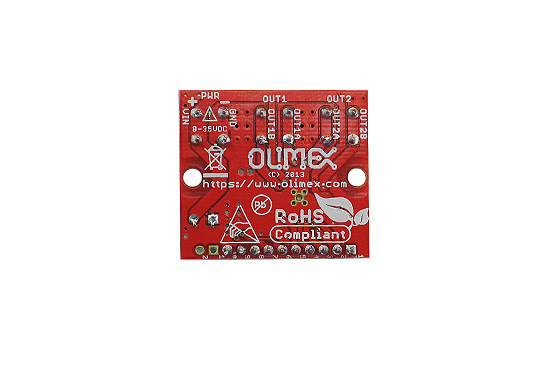 It might be supplied by voltage in the 6V to 35V range. 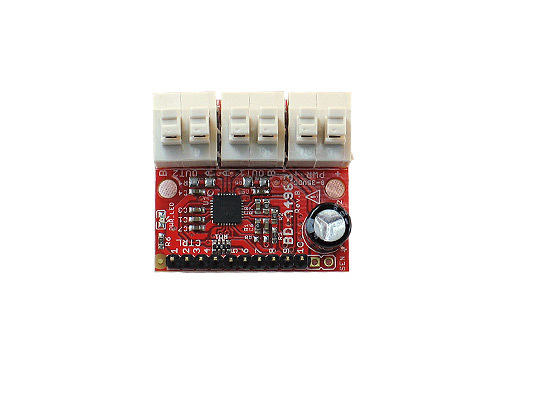 Arduino, Pinguino, Maple can be used to control motors via this board. 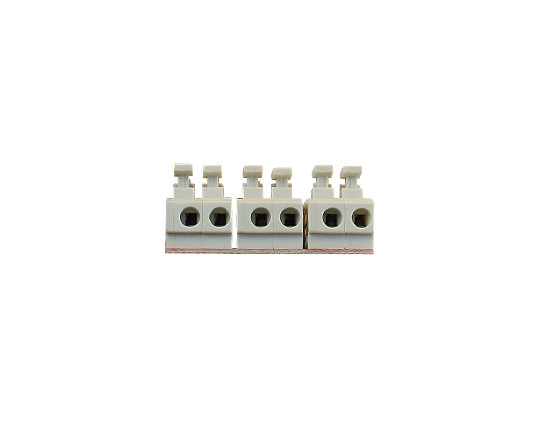 The spring contacts allow easy connect-disconnect of motor cables and power supplies. Jumper wires can be used to connect to Arduino/Maple/Pinguino/Duinomite-compatible boards.